Japanese Curry in the East Village…Curry-Ya! I had Japanese curry for the first time the other night. I freaked! Went to a place called Curry-Ya. I didn’t know this but curry is actually one of the most popular dishes in Japan. Curry was introduced to Japan by the British, at a time when India was under their administration. Makes sense right? It was such a fun, intimate and new experience. It is a small restaurant so go with one or two other people. It has a bar and a table..thats it! 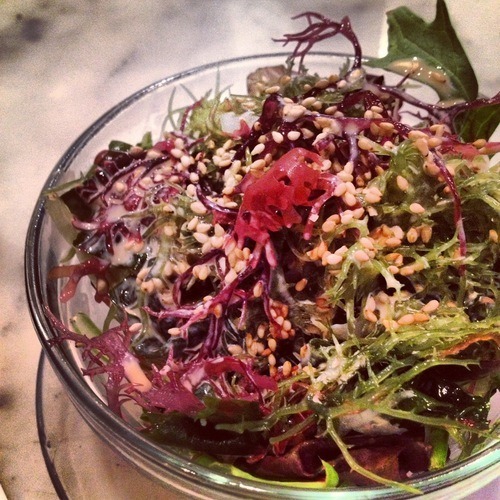 I had no idea what to order, so I asked the waiters and chefs to recommend their faves. 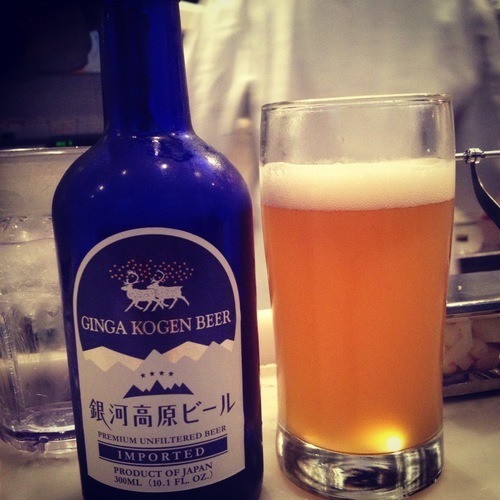 Started with an unfiltered Japanese Beer. Then we were told to order the Berkshire pork cutlet. Curry-Ya is famous for it. We ordered it in the baked curry version. 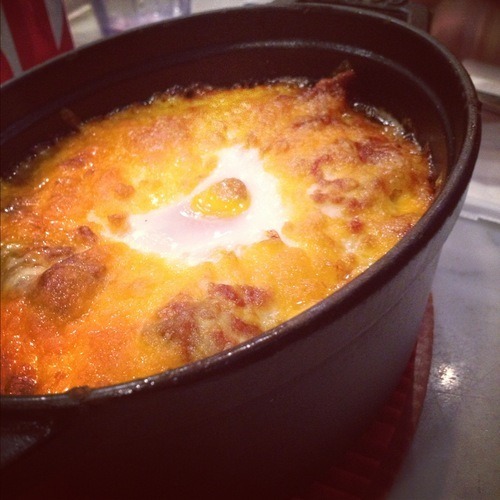 In this pot there is a bottom layer of sticky white rice, topped with the Berkshire fried pork cutlet, a nice layer of curry, an egg and a heaping pile of cheddar. They all get baked together, so the cheese was nice and gooey and the egg was still runny. This dish was sinful! I absolutely loved it! Had to try another curry while I was there and ordered another top hit. Beef dried curry. 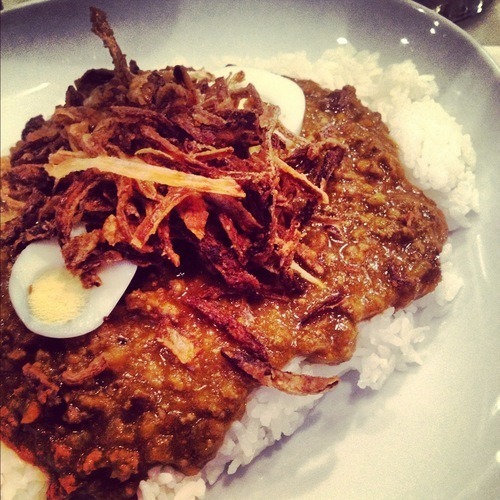 A meaty beef curry, slathered on top of sticky white rice with a hard boiled egg and fried onions. Such a cute spot with insanely delicious food. Enjoy and have fun!